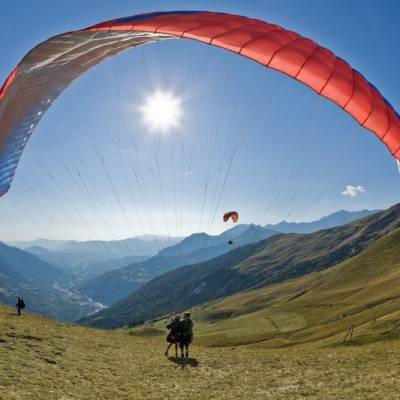 With its 300 days of sunshine a year and the unique microclimate created by the Ecrins mountains, the Southern French Alps is a perfect location for paragliding and, as it is still a relatively well kept secret, you can fly without hundreds of other paragliders getting in your way. 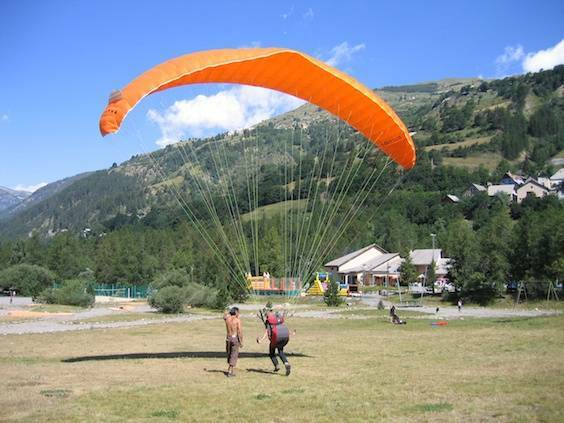 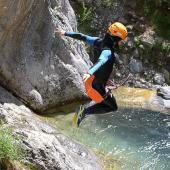 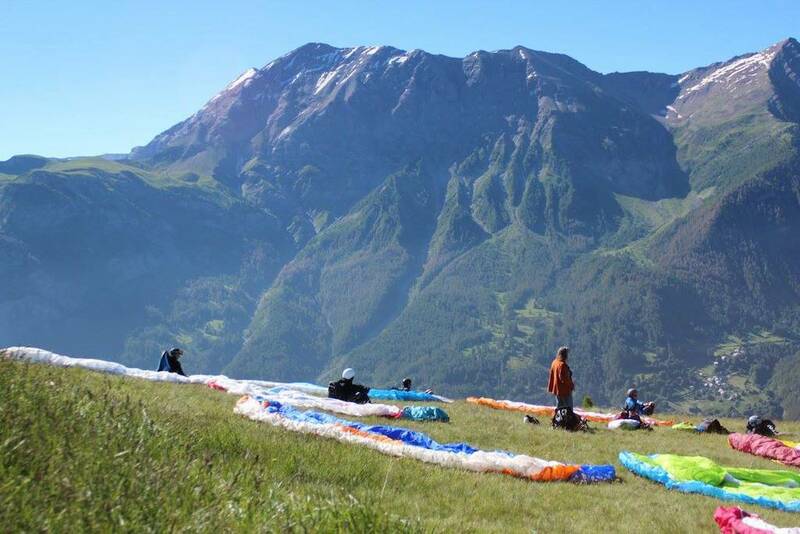 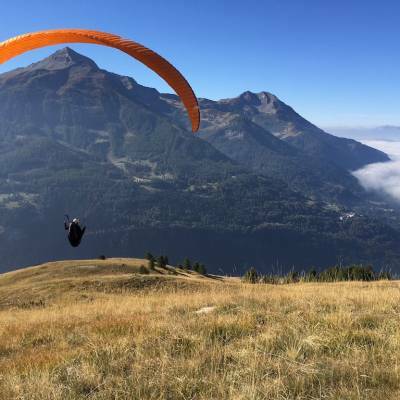 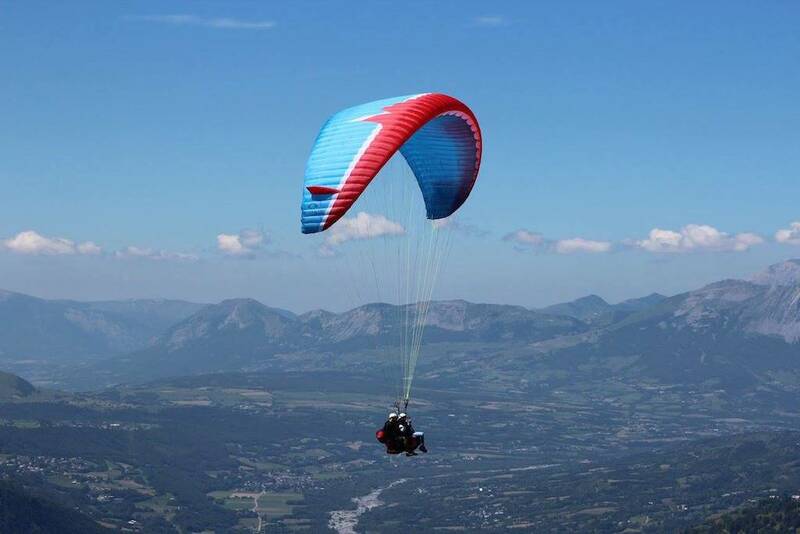 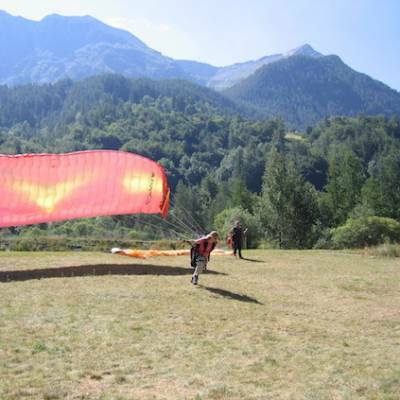 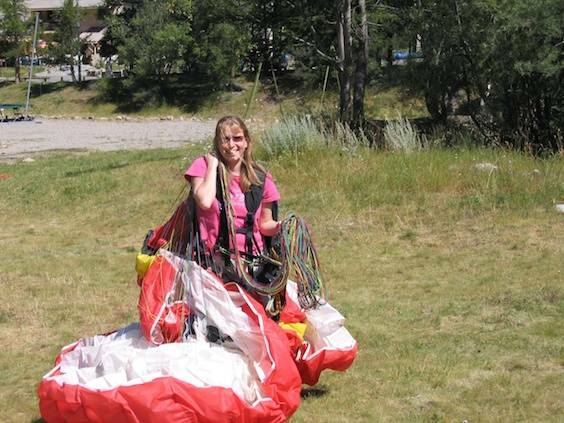 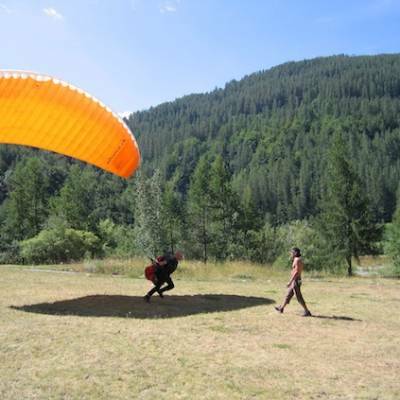 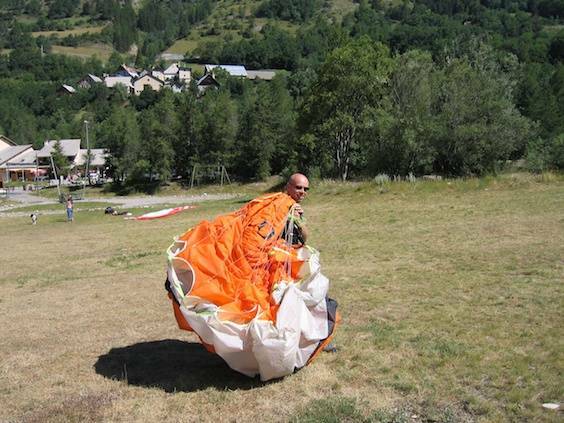 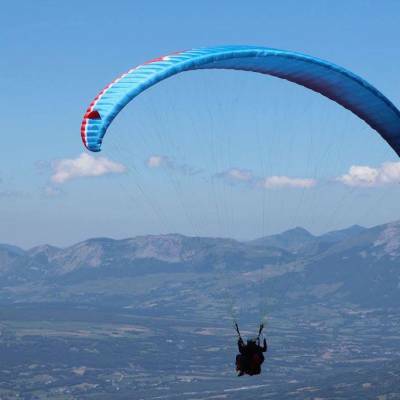 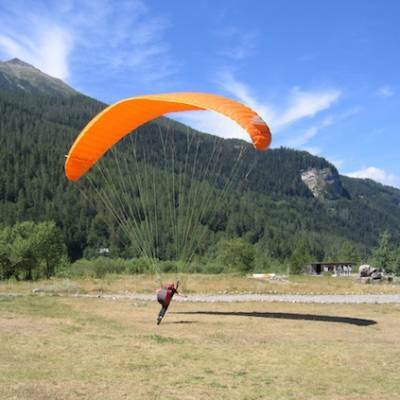 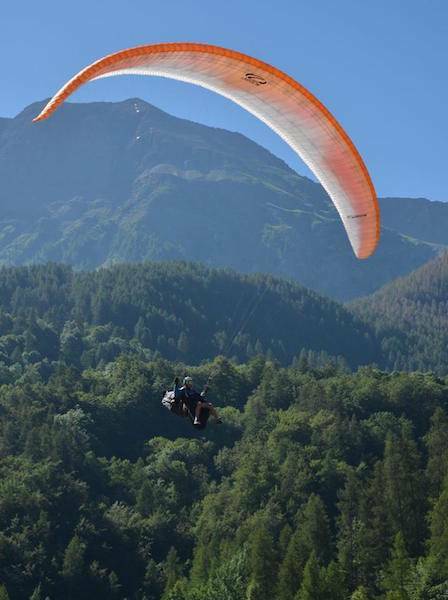 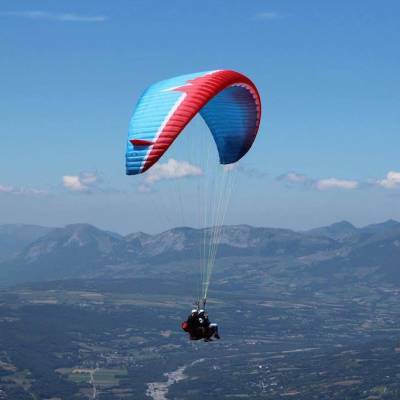 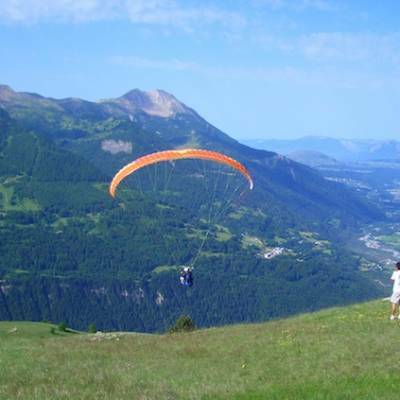 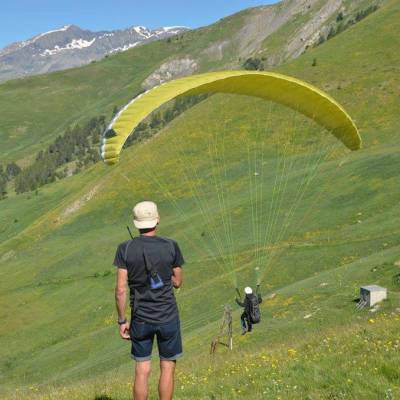 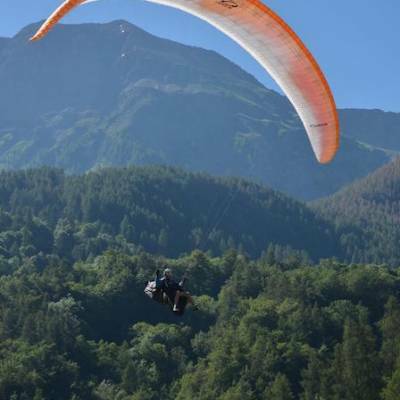 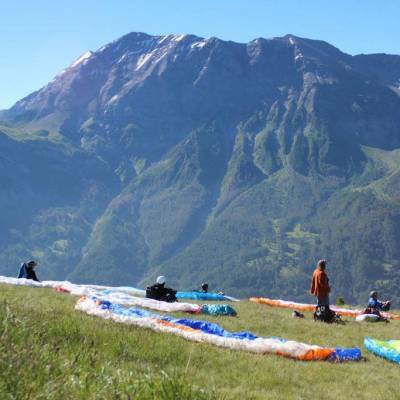 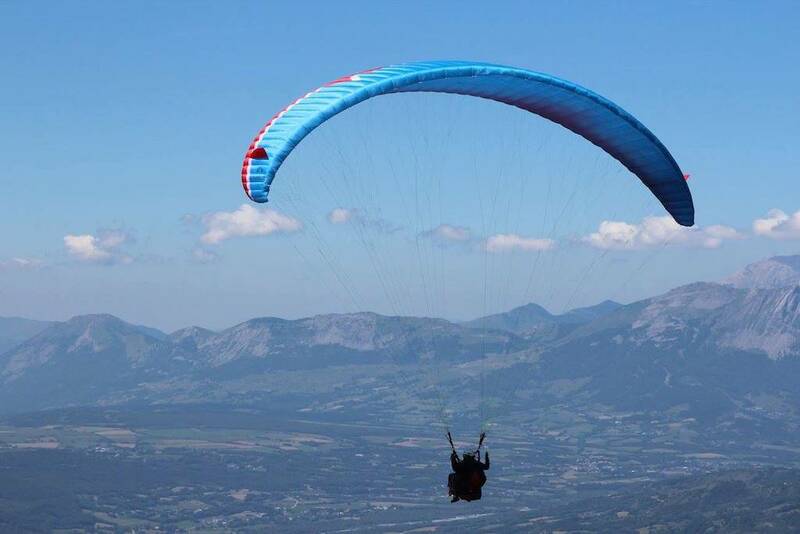 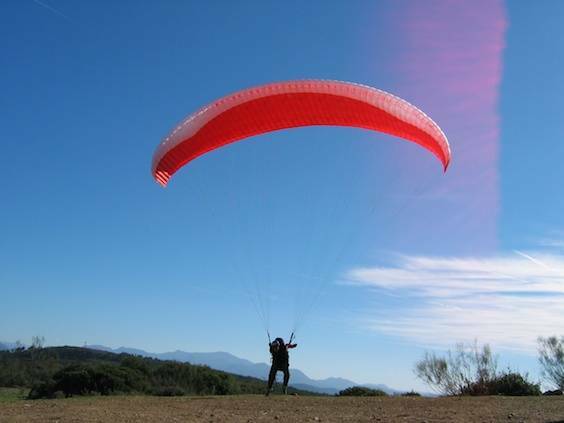 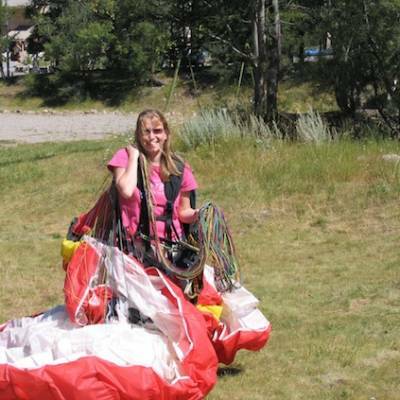 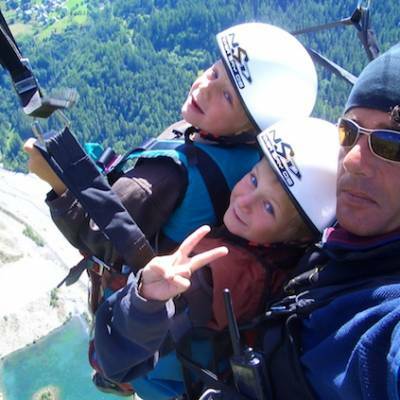 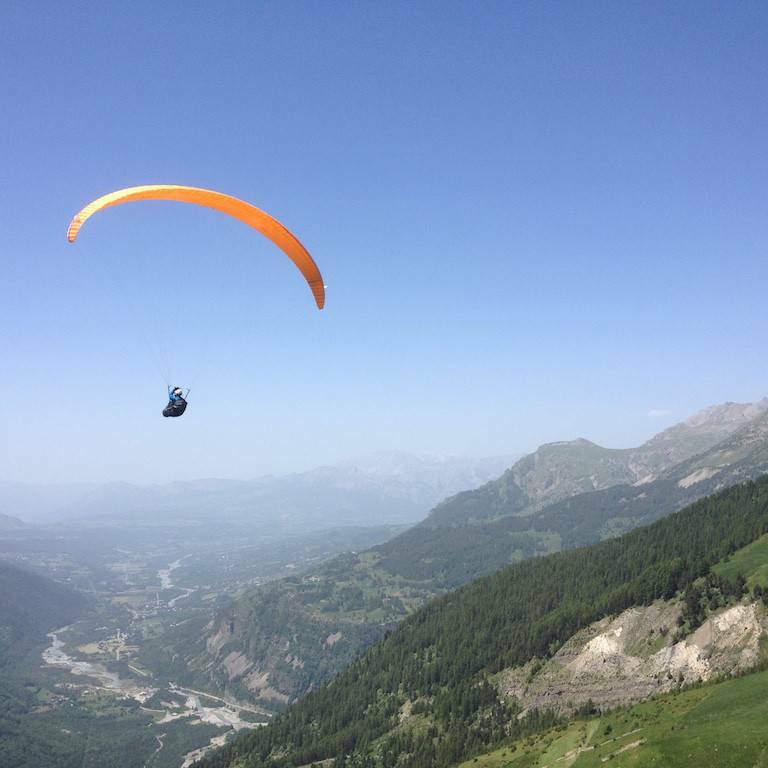 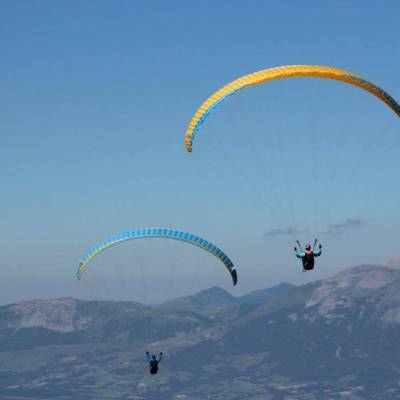 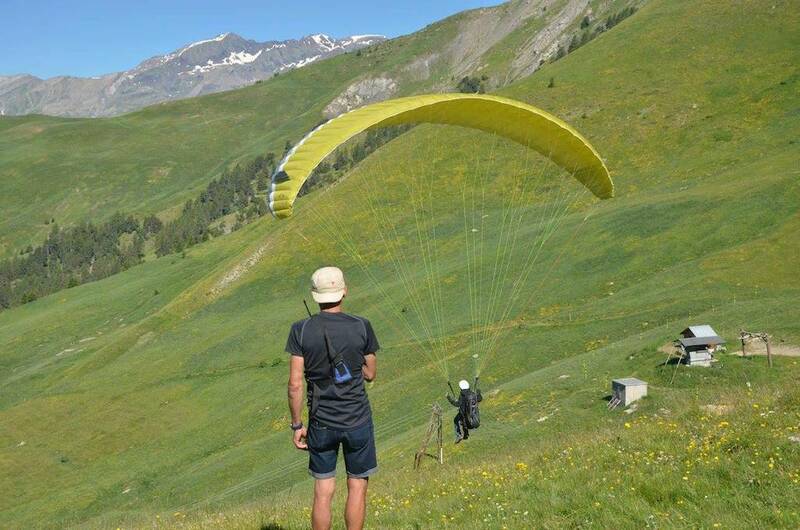 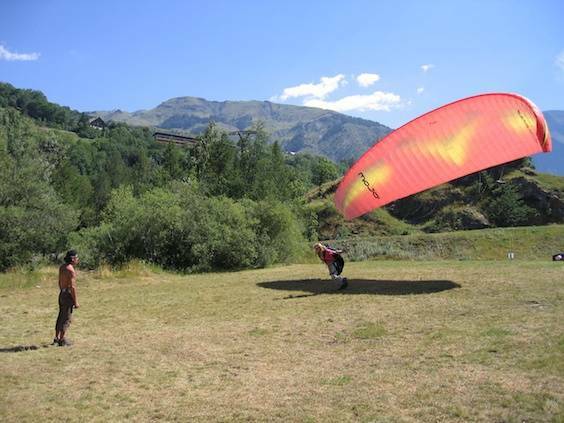 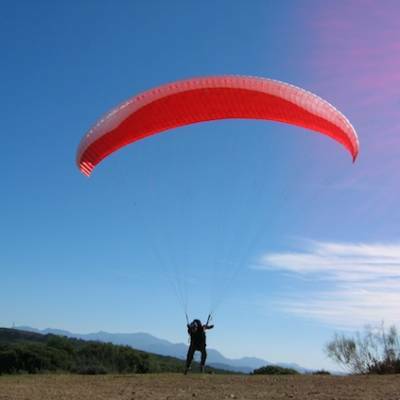 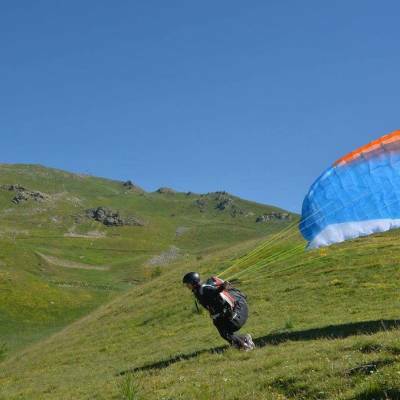 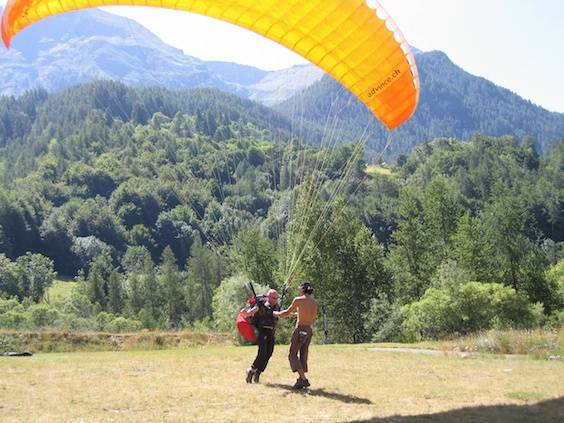 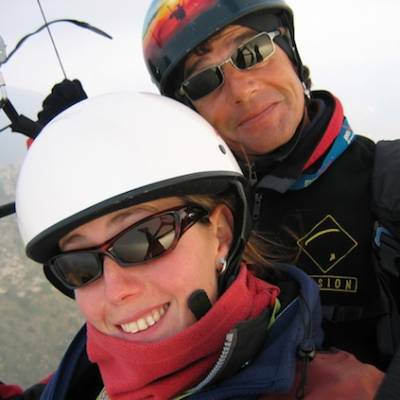 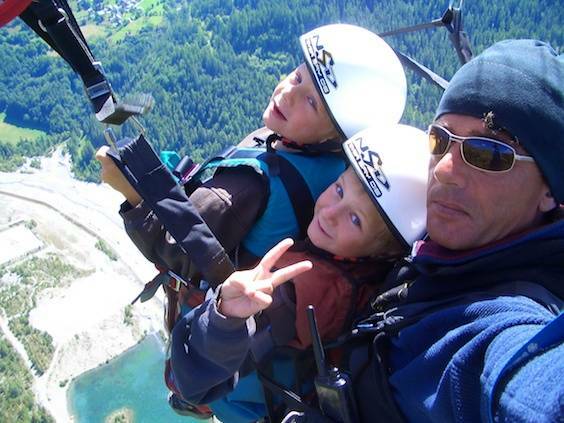 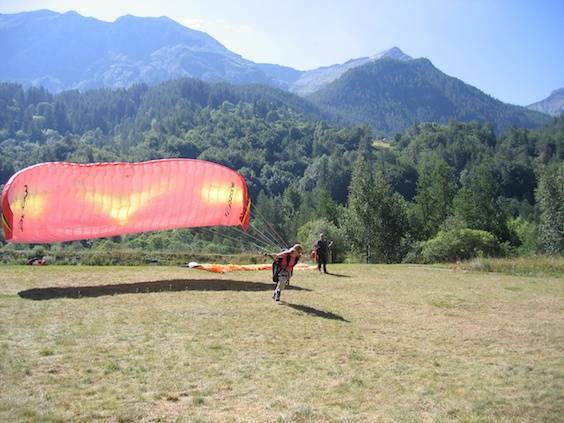 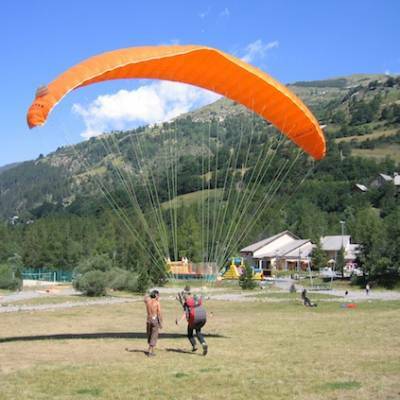 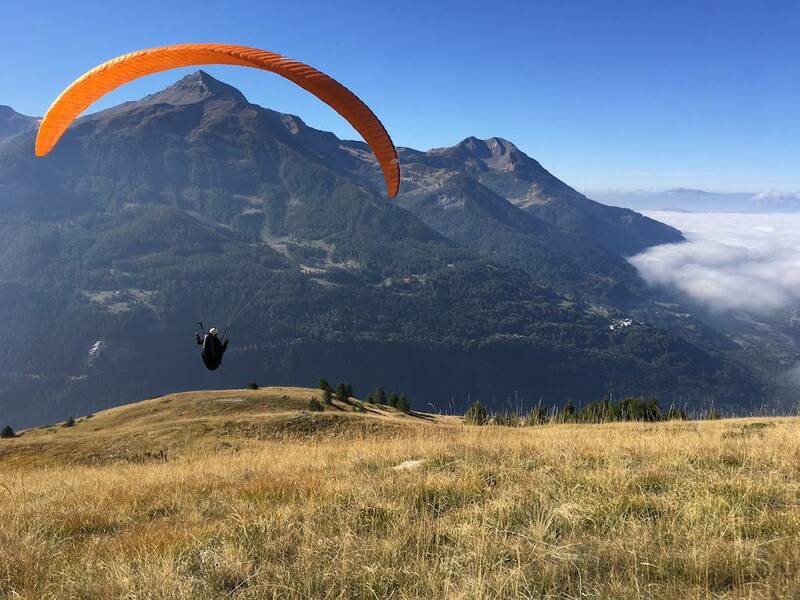 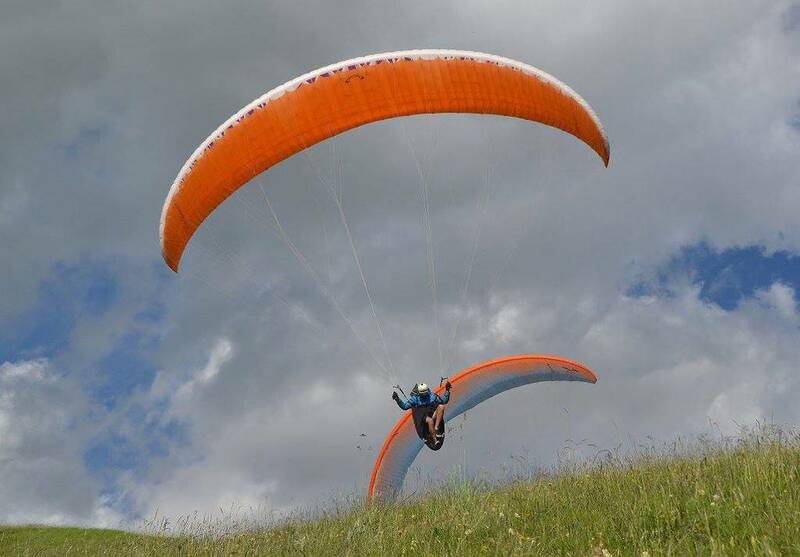 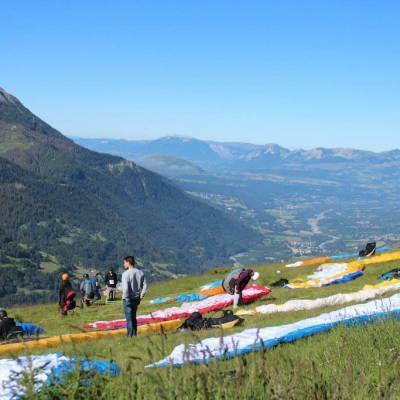 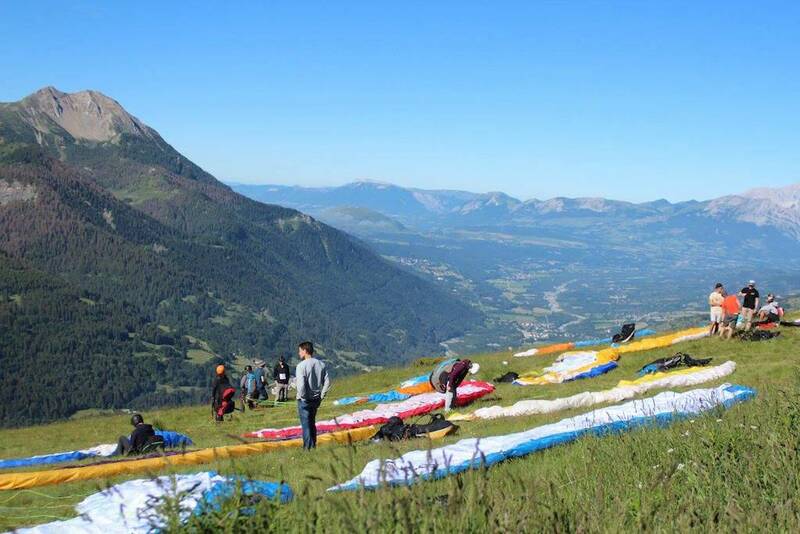 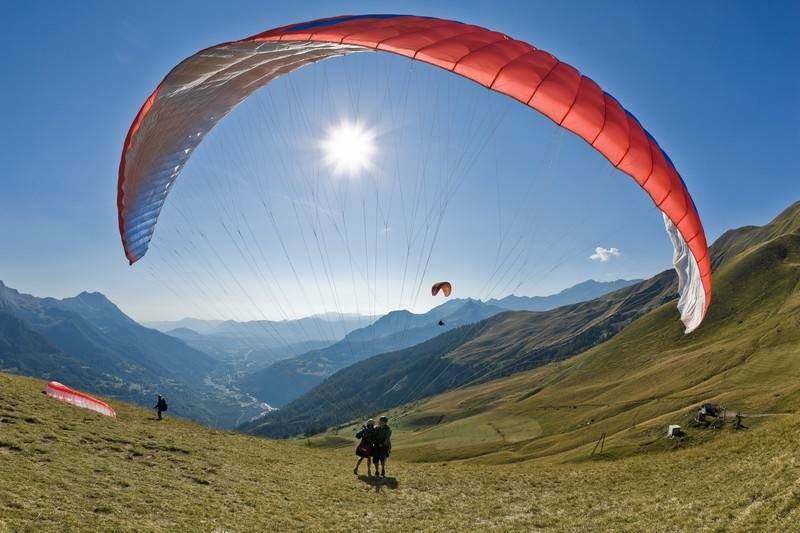 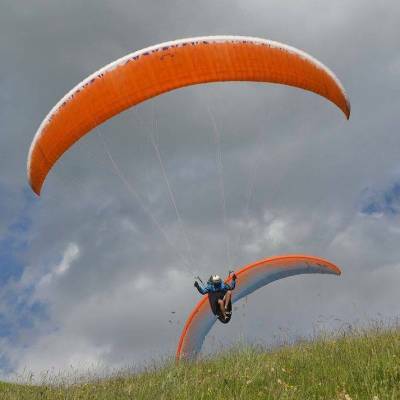 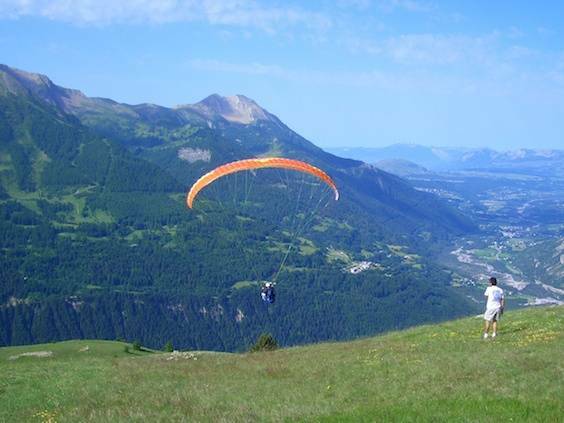 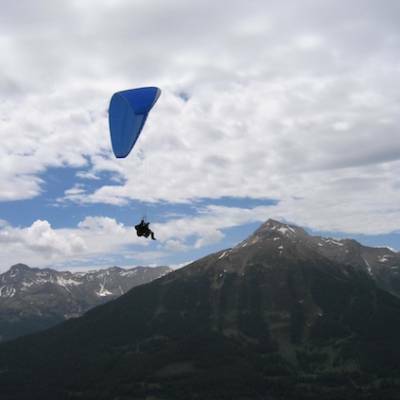 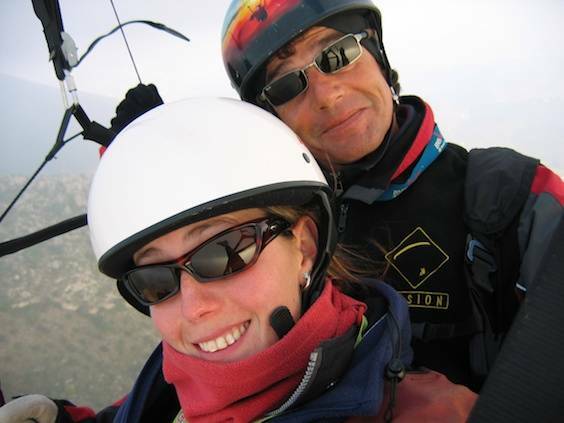 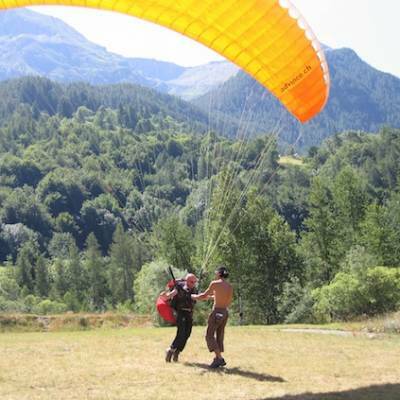 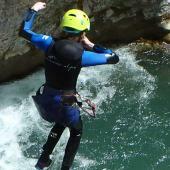 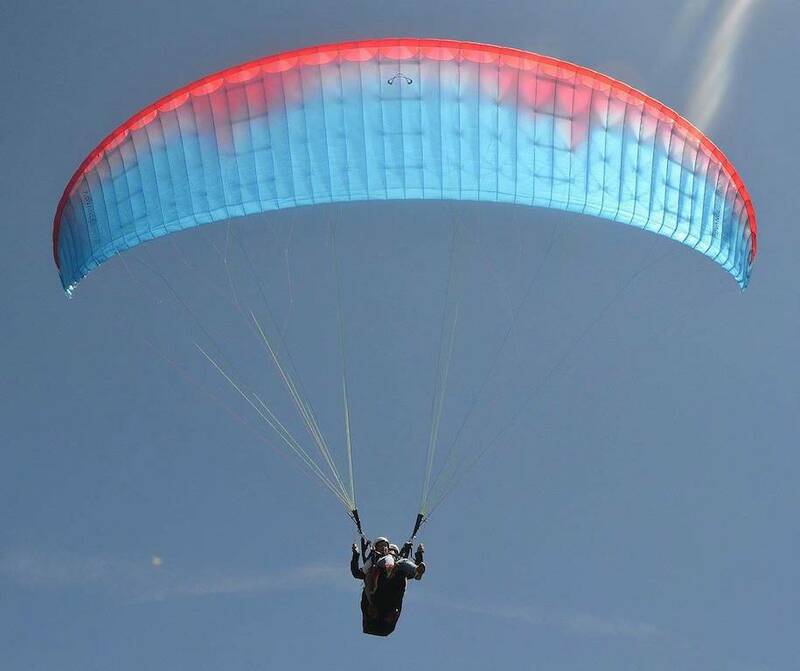 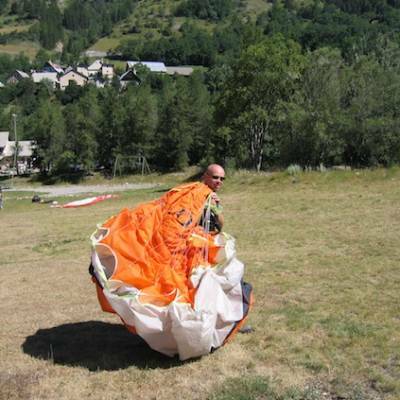 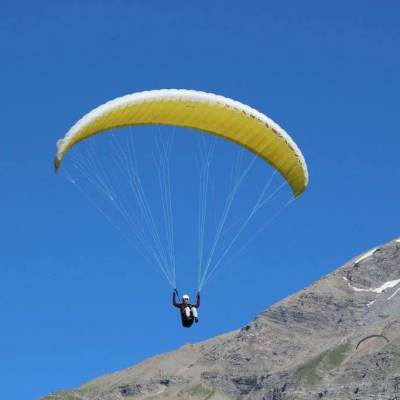 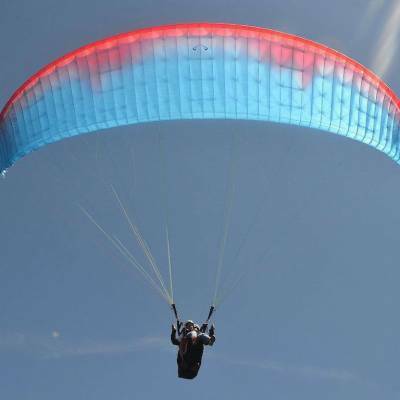 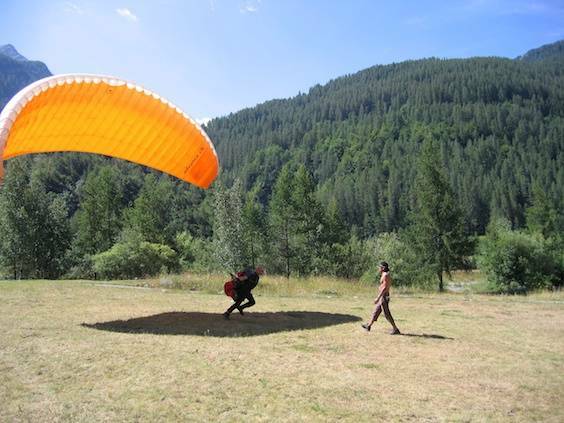 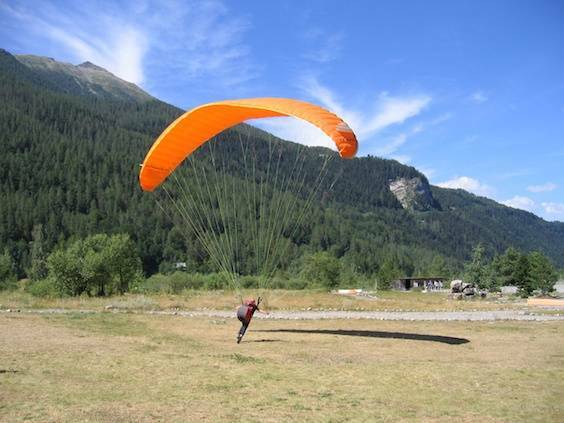 In the Southern French Alps we offer a learn to fly course which is usually done over a week as well as a range of tandem paragliding experience where you are attached to your instructor who controls the flight for you. 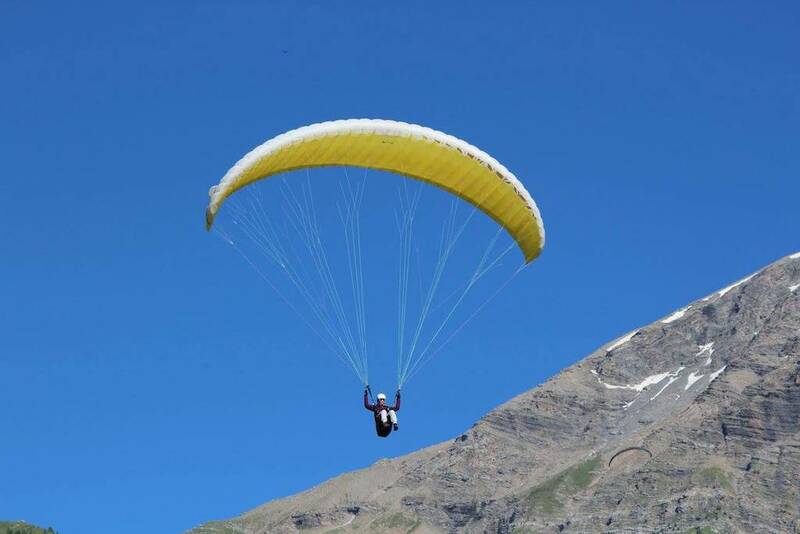 True thrill seekers can also go for a 'sensation', sporty flight where your instructor will do figures and manoeuvres in the air that will really get your adrenaline going! 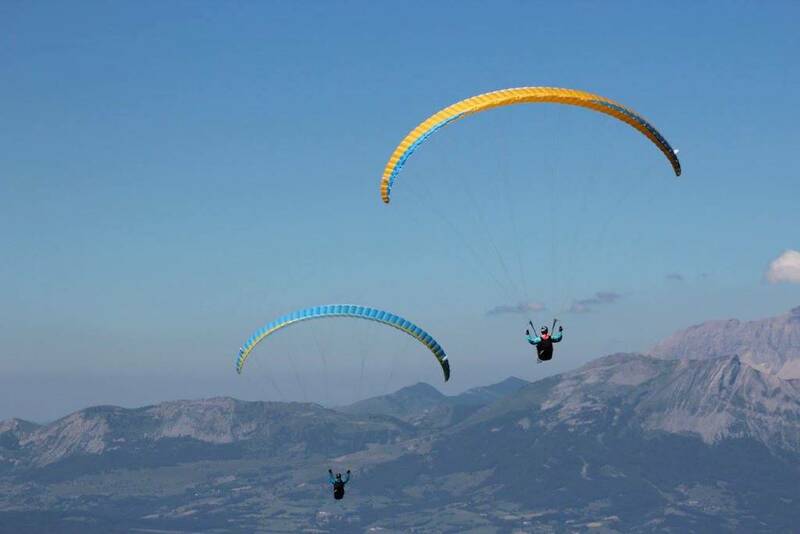 All courses and tandem flights are run by fully qualified and experienced instructors operating within European regulations and guidelines, and all the necessary equipment is provided. 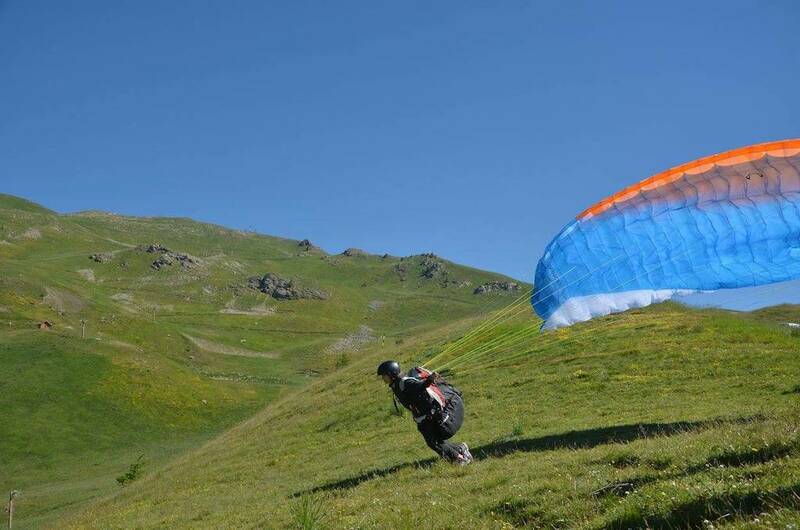 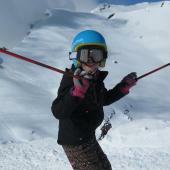 No guts no glory: some courage needed to run off the mountain. 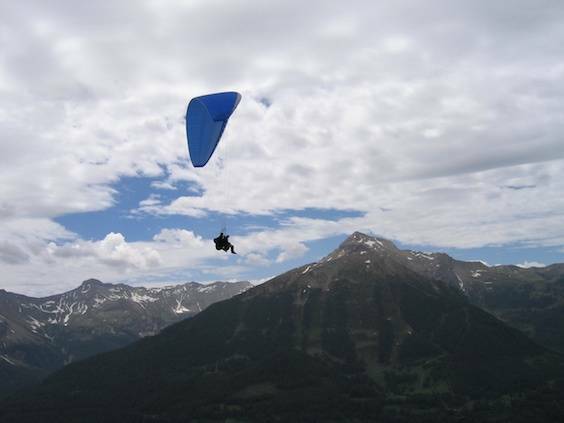 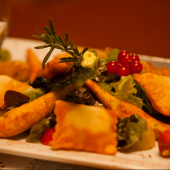 But after that, it is pure beauty!